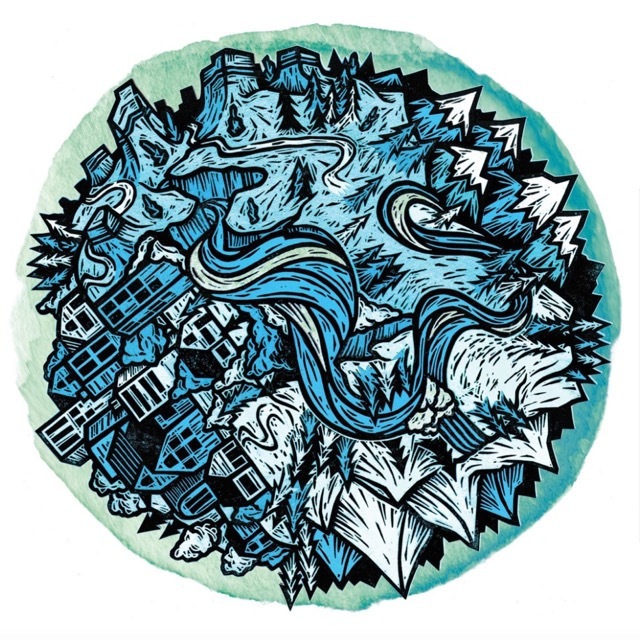 You may have seen on our Instagram, we partnered with 5Point Film Festival while they were on tour in Carbondale, Colorado! The festival ran Thursday-Sunday with an exciting array of inspiring films and community events. 5Point stands for balance, commitment, humility, purpose, and respect. They lineup 4-days of inspiring programming, and gather special guests, athletes, filmmakers, and our community together in one – 800 seat venue! 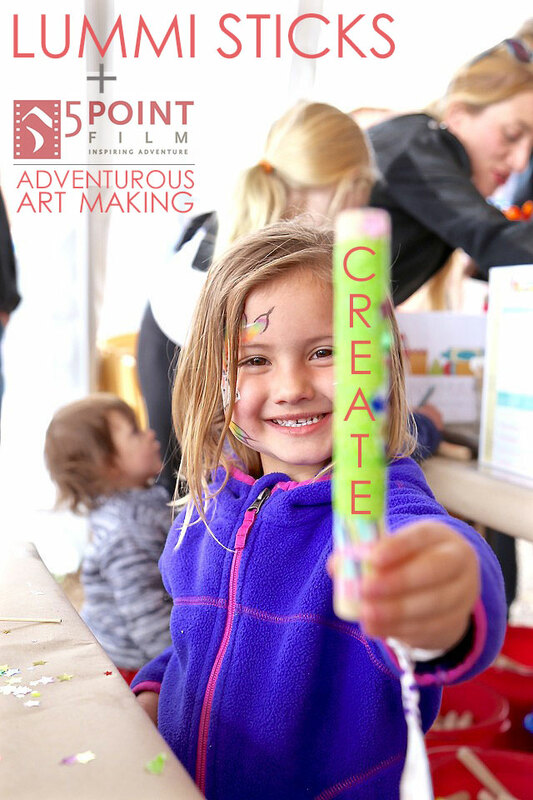 On Saturday, following the Youth Adventure Films (free for 12 and under), we squeezed in some adventurous art making with hundreds of local children! 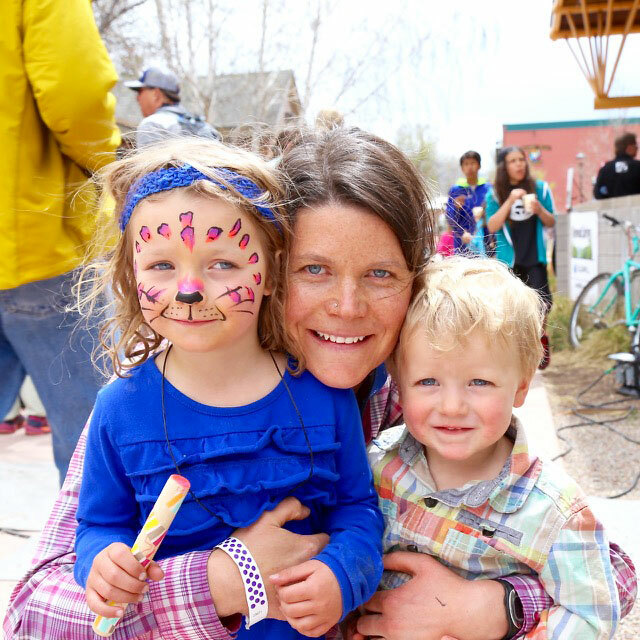 Between the arts + crafts, the much-loved annual ice cream social + community picnic, and all the overflowing inspiration from the outdoor adventure films, you’ll see many beaming smiles! 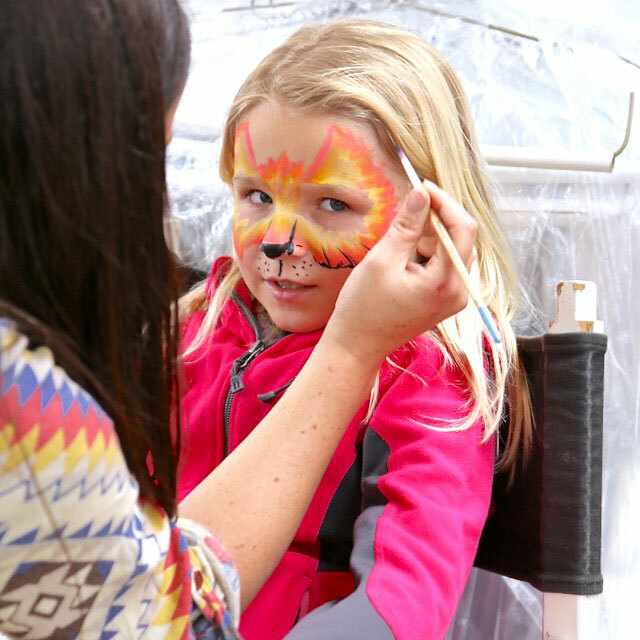 Thank you to all the local families that came out for this festive afternoon! 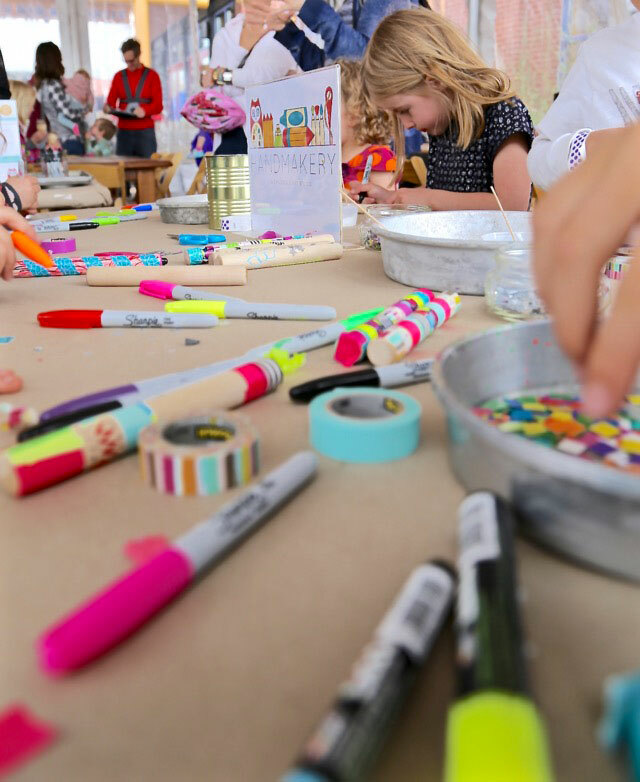 We were honored to be back at 5Point making + creating with young artists! 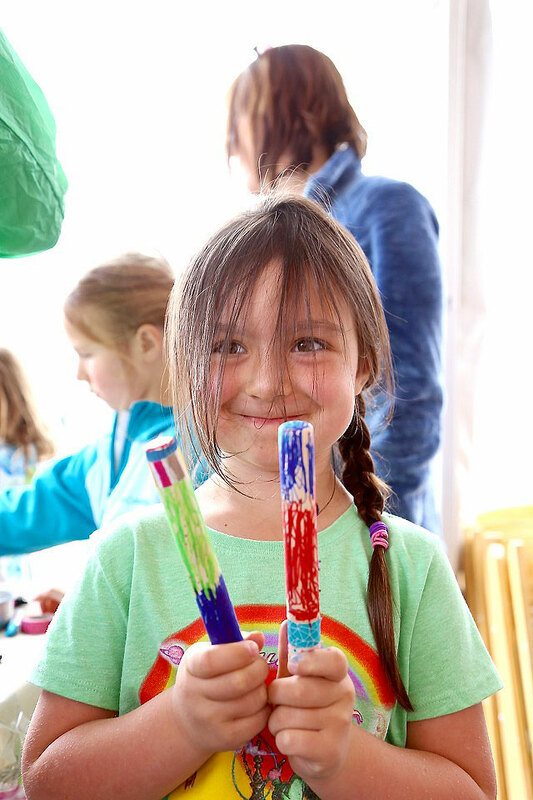 Thank you for inviting us to create LUMMI STICKS with children in our outdoor studio 5Point Film, so great to be back for another year. 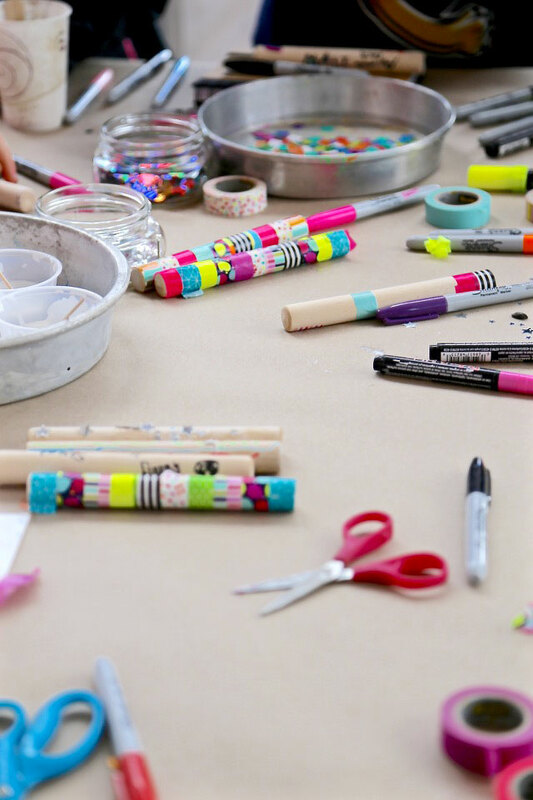 Take a peek at how we crafted these simple sticks with just three simple steps! 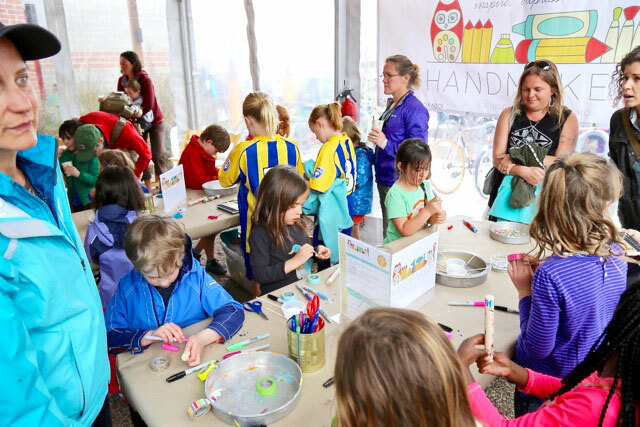 Excited to announce HANDMAKERY’S online registration for (hands on + mixed media) SUMMER + SCHOOL YEAR 2016/17 ART WORKSHOPS! Early enrollment is encouraged as space is limited! 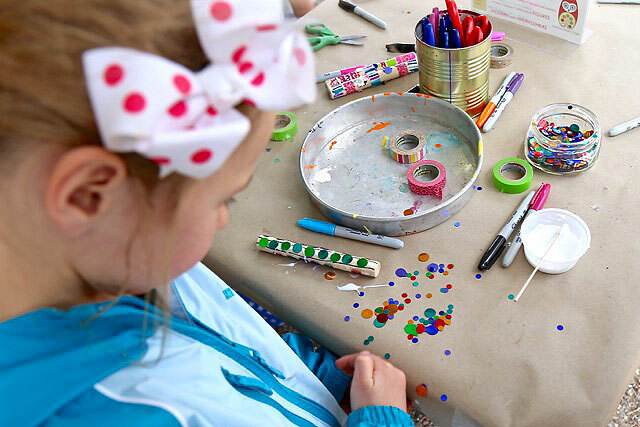 Take a peek into our adventurous + artful workshops for children and upcoming art-filled community happenings! 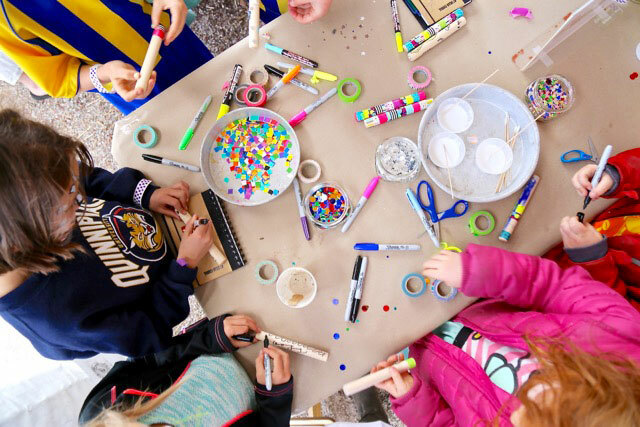 May’s First Friday and Family Block Party are just around the corner, hope you’ll be joining us: Creating In Our Outdoor Art Studio: Summer Lovin’ Style! Be sure to stay in touch and connect on our Facebook + Instagram + Pinterest! Named after the Lummi Native Americans, these sticks are hardwood cylindrical, usually about 7 inches long and 3/4 inches in diameter, used as percussive musical instruments. These sticks are generally struck against one another and used most often in musical education to teach rhythm. 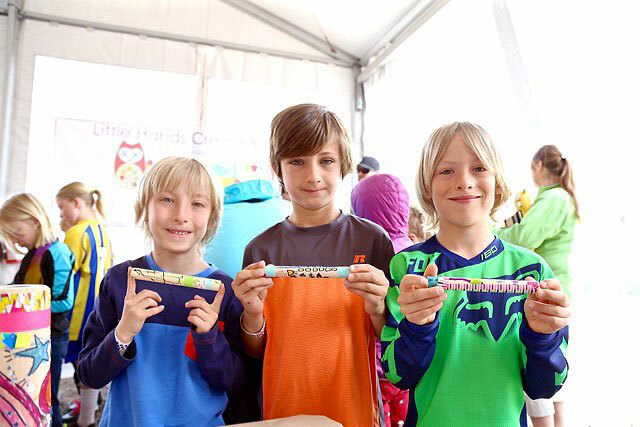 Children love personalizing their very own LUMMI STICKS! ONE Draw designs using a black permanent marker. Designs can be focused on line, shape, and pattern. Progress into exploring color with colored permanent markers. 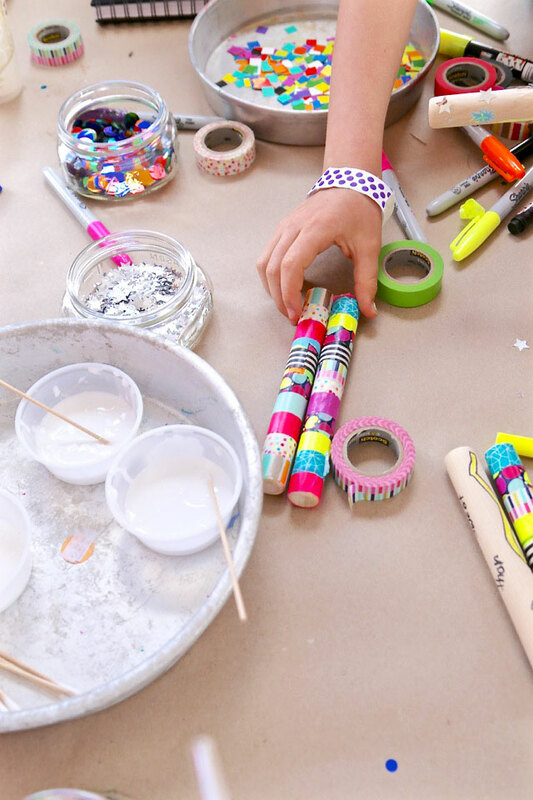 TWO Use a wide array of colorful and patterned washi tapes to wrap your sticks. Washi tape tears and/or cuts very easily. It’s also the perfect size to fit into smaller hands, and not too sticky. 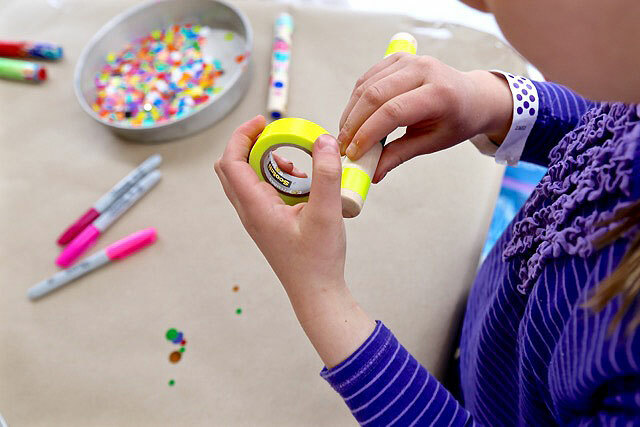 Children love collecting and working with washi tape. 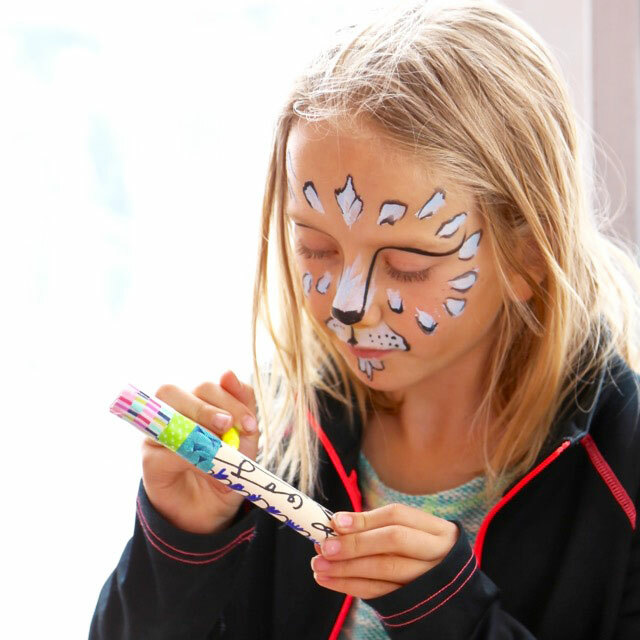 THREE Use white glue and embellishments to add sparkle + shine + details. 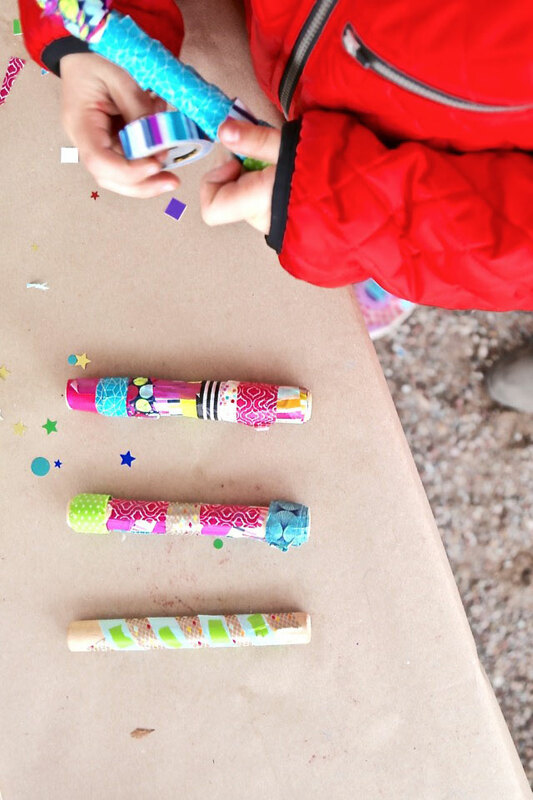 We had a collection of metallic confetti, including stars, polka dots, and squares. 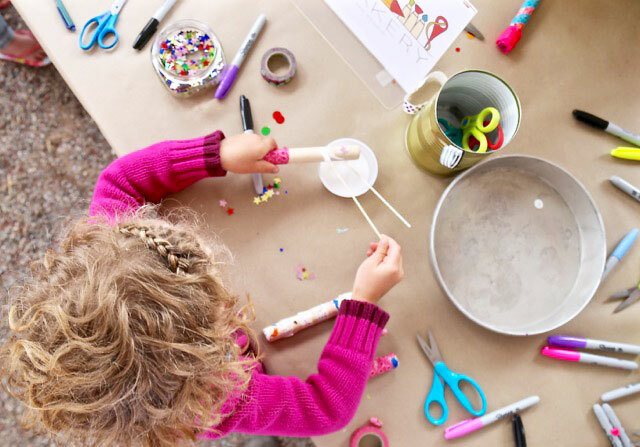 Little hands love small treasures and this process is wonderful for developing fine-motor skills! Waalaa! 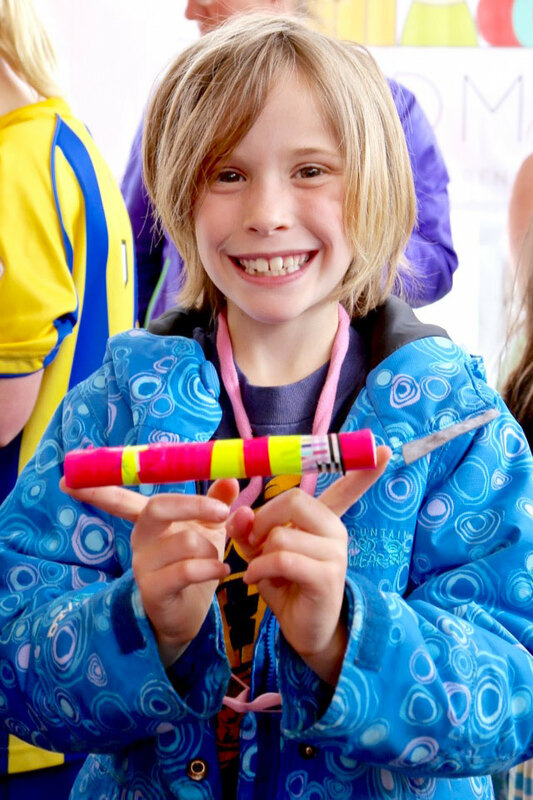 There you have it, a proud artist and her LUMMI STICKS! 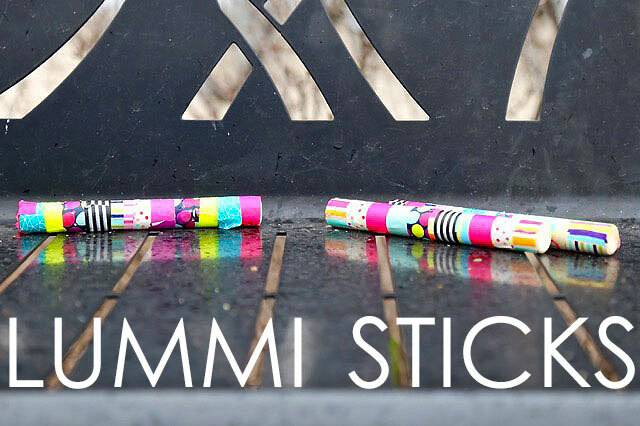 We loved how vibrant and one-of-a-kind every artist designed their individual sticks! 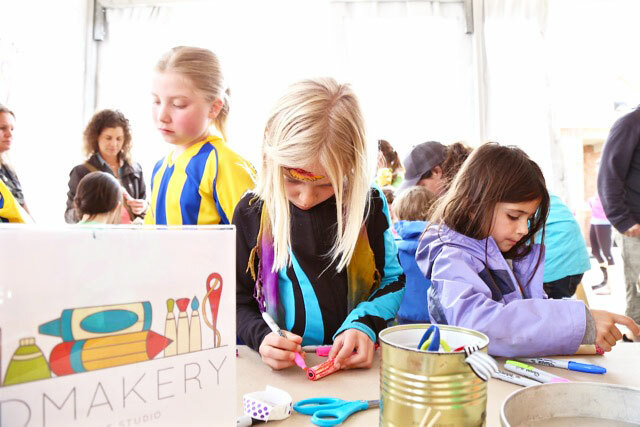 We love how art making unites collaboration + community! 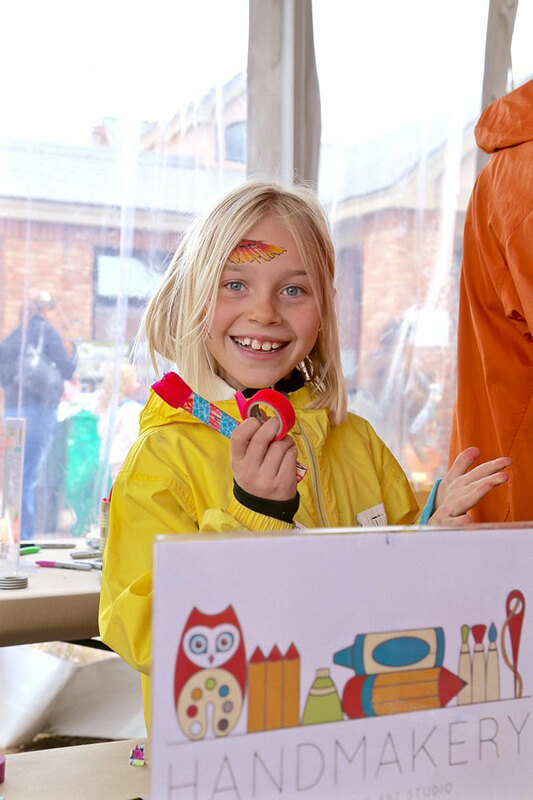 So many local families gathered together for art making, face painting, music, food, friendship, fun and fabulous films. 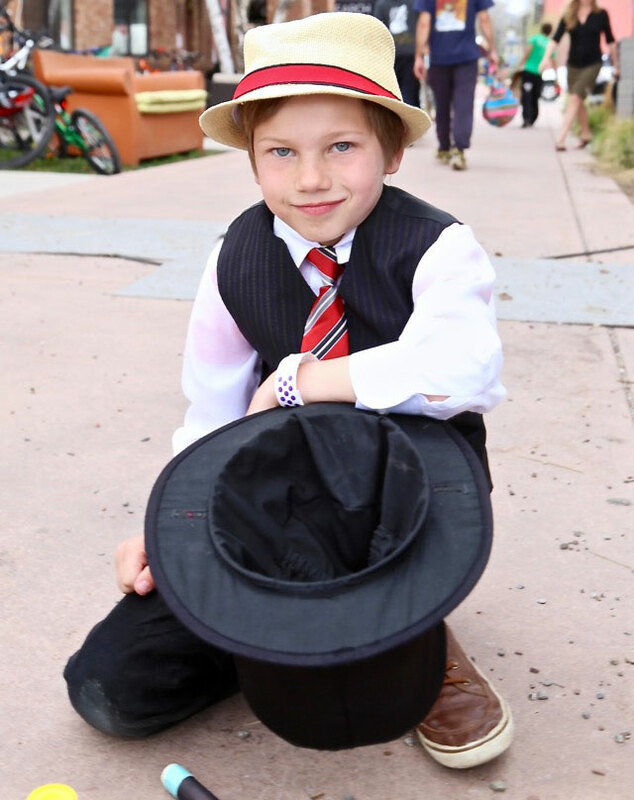 This marvelous + mysterious + sharped-dressed magician, performing independent sidewalk shows just outside our tent, created a magic wand using a black permanent marker and washi tape! Very clever Mr. Magician!